The town of Berlin, Connecticut is located at the geographic center of the state. 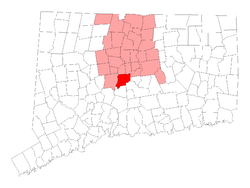 It is also located just 14 miles from not one, but two of our pediatric dental offices in CT. We have the education, the training, and the experience to calm and soothe anxious or fearful children. Our dental practice prides itself on a history of making kids feel at ease when they come to the tooth doctor. Pediatric dentists receive two to three years of additional training after completing dentistry school and practice exclusively on children. The environment at all three of our dental practices is conducive to the relaxation and fun your child desires. We strive to instill best oral hygiene practices in our patients. Children usually have all their primary (baby) teeth by age 2 to 3. Ideally, they will have seen a children's dentist several times by then, because early examination and preventive care are keys to life-long dental health and happy smiles. At CT Pediatric Dentistry, we work with children of all ages from Berlin, CT and try to make their visit as comfortable as possible. Many young people have anxiety about visiting the dentist, which is why we offer pediatric dentistry services at three different locations throughout the state. Our friendly and knowledgeable crew works hard to ensure your child's visit is enjoyable so that they can appreciate the importance of good oral hygiene. 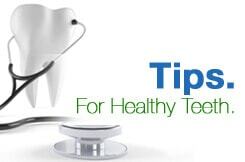 Learning proper brushing and flossing methods, getting regular check-ups and cleanings, and being aware of what foods and drinks can cause cavities is important in a young person's life. Early preventive dental care and dental health education leads to healthy teeth and gums later in life, which research is finding to be more and more important to overall health. We invite residents of Bristol, CT to call our Unionville office by dialing 860-673-3900 or call us at 860-523-4213 to speak with someone at our West Hartford office. Our kid-friendly methods at CT Pediatric Dentistry show young children that a visit to the dentist is a good thing, not something to fear. Our pediatric dentists believe in the importance of good oral health, and we look forward to working for you and your family.